Are you putting yourself at risk by driving at night? We don’t often hear about the dangers of night driving, but perhaps we should. According to the National Safety Council, the risk of a fatal accident increases by three times at night. 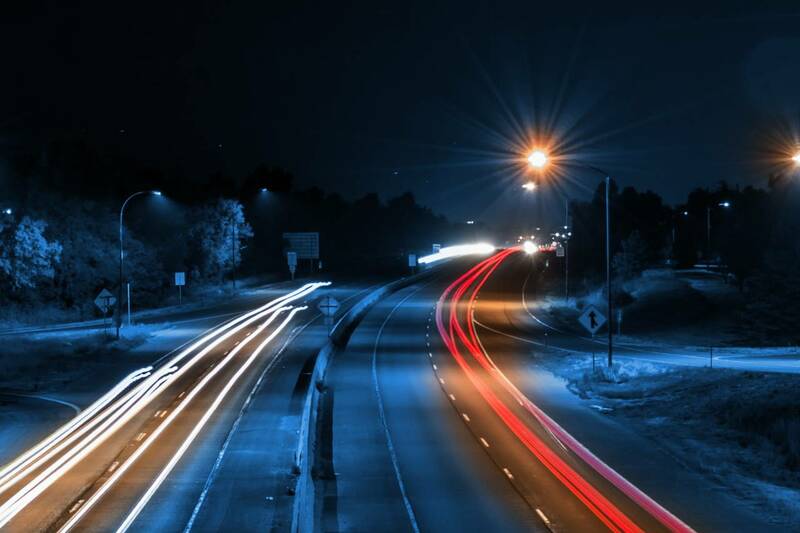 In fact, more than 40% of all fatal car accidents occur at night, despite there being less than half the normal amount of traffic on the road. Since night driving is unavoidable for virtually all of us, it’s important to know the do’s and don’ts of keeping safe after dark. To help you get started, here are 5 essential safety tips to keep safe while driving at night. 1. Avert your eyes from oncoming headlights. When it’s dark outside, our eyes are naturally attracted to sources of light. Even if an oncoming vehicle doesn’t have their brights on, you might still be tempted to look at their lights instead of the road in front of you. This is a subtle yet potentially dangerous distraction, especially when you already struggle with low visibility. 2. Watch out for animals. Wild animals appear on the road when we least expect them. Even relatively urban areas can hide creatures who are on the hunt in the dead of night. To avoid these accidents, keep on the lookout to see if your lights are reflecting off of any pairs of eyes in front of you. And if you are faced with an animal in front of you, avoid swerving to dodge it. You’ll actually increase the likelihood of an accident that way, so prioritize coming to a stop over anything else. 3. Make sure your headlights are aligned. The biggest struggle of night driving is combating poor visibility. Our vehicle’s headlights combat this, but a misaligned headlight makes night driving exponentially more dangerous. If you have any problems at all with your headlights, get them repaired ASAP. Long distance night driving is inevitable for many of us. In fact, many families prefer it since it lets the kids sleep on the road. To keep any and all precious cargo safe, take a pit stop at least every two hours to get out of the car and stretch. This will keep you alert on the road, and any cups of coffee you grab in the meantime will help too. We all know drunk driving is dangerous, but you don’t need to be drinking to be putting yourself at risk. In fact, studies show sleep deprived drivers are at as much risk as drunk drivers. Drowsy driving is said to be a factor in 1 out of 5 fatal car accidents, and that’s a fact no driver should sleep on. If you’re tired and need to get on the road, get some sleep and make the trip in the morning if possible. You wouldn’t get in the car after a night at the bar, so you shouldn’t get behind the wheel when you’re struggling to stay awake either. These five tips will help make your night driving safer, but all other risks of driving still apply. Bad weather, dense traffic, you name it. If you’re driving an older vehicle in these conditions, you’re missing out on the life-saving features that are found in modern vehicles. If you’d like to learn more, give me a call or send me a message to make an appointment.